“It would be difficult to overestimate Henry Threagill’s role in perpetually altering the meaning of jazz," wrote Studs Terkel. "He has changed our underlying assumptions of what jazz can and should be.” Threadgill's musical career—including distinguished work as both a composer, band leader, and multi-instrumentalist—has spanned over forty years. His music has been performed by many of his long lasting instrumental ensembles, including the trio Air, the seven-piece Sextett, Very Very Circus, twenty-piece Society Situation Dance Band, X-75, Make a Move, Aggregation Orb, and his current group, Zooid. He has recorded many albums as a leader of various ensembles. His work for large orchestras, such as Run Silent, Run Deep, Run Loud, Run High(conducted by Hale Smith), and Mix for Orchestra (conducted by Dennis Russell Davies) were both premiered at the Brooklyn Academy of Music in 1987 and 1993, respectively. 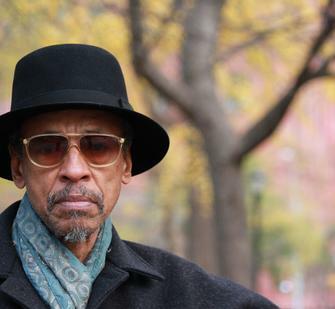 In the fall of 2014, Harlem Stage held the two-day festival Very Very Threadgill, where over forty musicians presented a retrospective of Threadgill’s work. He is a 2016 Pulitzer Prize recipient, as well as a 2016 Doris Duke Artist Award recipient. Read more at nytimes.com.